The shelters (nine in total) are all surface shelters, constructed from concrete and capped with earth. 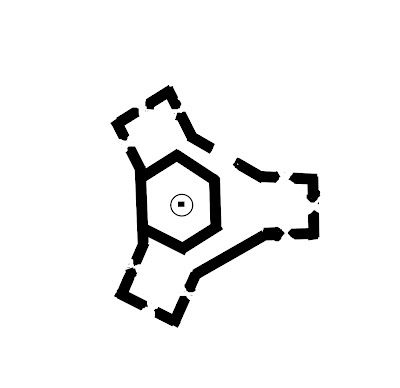 Each shelter had two entrances. Above: Entrances to two of the shelters - each shelter had two entrances. The shelters had air vents on the roofs - today looking like strange mushrooms sprouting in the undergrowth! Above: Air vents on the roof of one of the shelters. It was possible to look inside two of the shelters. One full of litter, I did not fancy exploring but the other, much cleaner, I did have a look around. I was surprised to find evidence of bunks still in place, one virtually complete. Above: Top four images show the interior of the shelter free from litter including the remains of bunk beds, one almost complete. Bottom image shows the interior of the the shelter in which it is still possible to enter but it is full of litter and I did not explore further! Visited here twice recently, it is an interesting position on the Command Line. The Command Line continued to follow the L&N.E.R Marks Tey, Sudbury & Bury Branch from Lavenham to Bury St Edmunds. 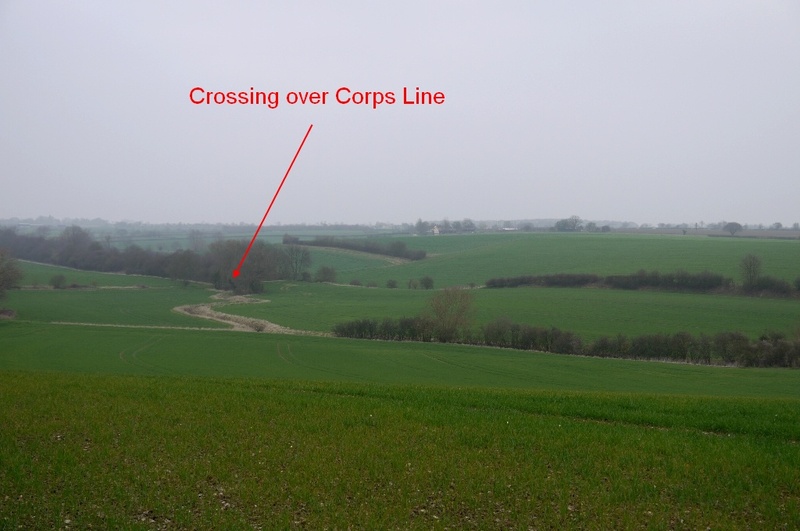 A machine dug anti-tank ditch enhanced the obstacle (and was presumably created by deepening an existing stream). The layout seems a little odd to me in that some of the front line pillboxes are only the bullet proof CRE 1094 (1'6" thickness) - only one CRE 1113 (3'6" thickness) seems to have been built in the area and that has sadly been destroyed post war (Serial No C25 - original serial no given in 1940). Normally I would expect 3'6" pillboxes in the forward positions and 1'6" pillboxes to the rear - see website for details on the layout of the Command Line. One of the pillboxes would seem to be a CRE Colchester unique design - in the shape of a caltrop. 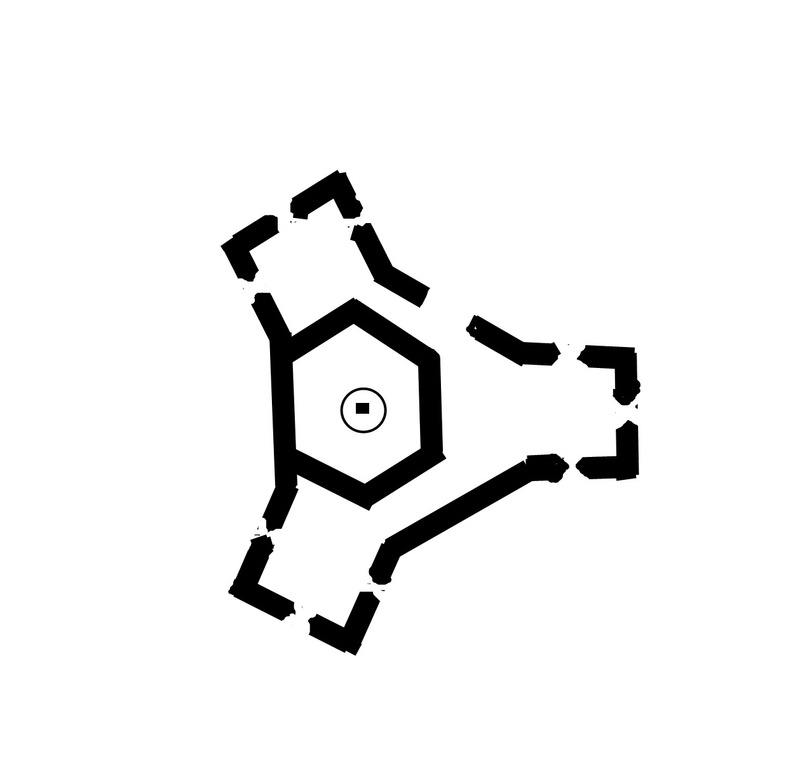 On Likely hill itself can be found the unique one-off design, a bullet proof 1'6" thick pillbox with three firing chambers arranged in a caltrop shape. It also has an offset central AA well, allowing an access gallery around the three chambers. The photos show the commanding position this pillbox enjoyed (although this could also be perceived as a weakness in that any position on a forward slope was obvious to the enemy). Third image down shows a plan of the pillbox while the forth image shows a crossing point (railway bridge and also a log bridge constructed for farmers) over the Command Line which could be observed from this position. The forth pillbox I visited I almost missed. Parking in a layby I set off to visit the above pillbox and only on returning to the car noticed the pillbox above the layby! Again a typical CRE 1094 (serial No C27) with central AA well. Another CRE 1094 (serial No C28) is near by but was so over grown no useful image could be taken. 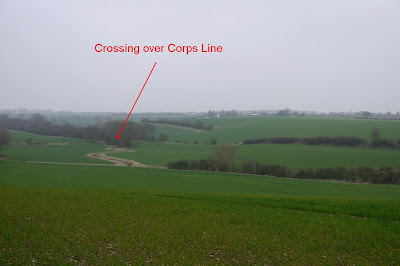 Final photo shows the stream that more or less followed the railway line and was presumably enhanced to form the anti-tank ditch.